Yes, the plural in "spotlights" is intentional. 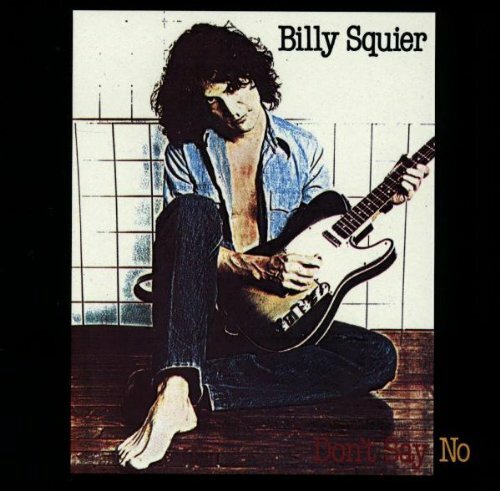 I initially was going to do only Billy Squier's breakout album Don't Say No. But then I started listening to Emotions In Motion again. Keep this is mind, at one point Def Leppard opened for Billy Squier. For context, that was Leppard's Pyromania tour. Billy Squier himself has said that Don't Say No is the best album he's ever made. I prefer Emotions In Motion. Don't Say No has the four monster songs: "In The Dark", "The Stroke", "My Kinda Lover", (those three open the album) and "Lonely Is The Night". Emotions In Motion had the never-forgettable "Everybody Wants You" and the lesser known "She's A Runner." I'm not here to tell Mr. Squier that he's wrong, just giving my personal preference. Listen to the first three songs of Don't Say No and you're hooked. "In The Dark" is a rock masterpiece. This is where Squier excels. As a songwriter of good songs. The we get "The Stroke", which incidentally is the first Billy Squier song I ever heard. And now one of the most sampled songs ever. Then it bleeds into "My Kinda Lover". Another rock classic. "You Know What I Like" is a good rocker, but nothing special. "Too Daze Gone" is the most underrated song on the record. It's bluesy, it's Stonesey. It's groovy. "Lonely Is The Night" is the other big song. "Whadda You Want From Me" is very Zeppleninesque with some Van Halen thrown in. "Nobody Knows" is the clunker on Don't Say No. The falsetto is not appealing. The song itself is not good..
"I Need You" is bubblegum rock with big guitars. While not a bad song, it's nothing special. The song 'Don't Say No" is not bad. The choice to fade into the first verse, however, was bad. The whole song seems disjointed. Emotions In Motion starts out where Don't Say No left of with the iconic "Everybody Wants You". rails. One of my favorite tracks on the record. "Learn How to Live" is vintage Billy Squier in the verses and bridge, but the chorus is pedestrian. "In Your Eyes" is a good ballad. "Keep Me Satisfied" evokes boogie-woogie, blues inspired Aerosmith. "It Keeps You Rockin'" is a straight up Billy Squier rocker. Nothing special, but not skip-worthy. "One Good Woman" is one of those groovy rock songs that we all love (ok, maybe not all, but I do). Reminiscent of vintage Styx. "She's A Runner" is what the quintessential 80's hard rock ballad aspired to be. 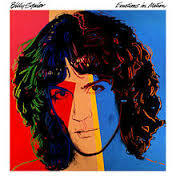 Billy Squier wrote the book that 80's pop metal followed. "Catch 22" is another song that you could hear Rod Stewart and/or the Faces recording. It's bluesy sultry rock at its best, replete with horns. The album closes with "Listen to the Heartbeat", which is not a bad song, but it's time to restart the album at track one. I really don't know what to make of Brandy Zdan's self-titled debut solo album. And that's not a bad thing. I hear so many things going on throughout the record that I can't really pinpoint what it is. And again, that's not a bad thing. The Canadian born, Nashville residing Zdan is no newcomer to the scene. She was a part of the gothic-folk duo Twilight Hotel before spending time in the Texas-based Americana band The Trishas. 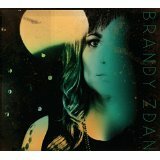 Brandy Zdan the record is an amalgam of many things, including Americana, folk, rock, country, pop and more. Which I'm guessing is all Brandy Zdan the artist. Zdan's smokey, sultry vocals are the common thread among the diverse musical ventures on this album. All this just to say, it's good. Here is "More of a Man". Enjoy.